I love this book. It's a fast read and has some really rich vocabulary. I love the themes it touches on such as divorce, loyalty and friendship. It starts with Flora looking out her window and seeing Tootie Tickham, her neighbor, trying to control her vacuum cleaner as it heads directly towards a squirrel. Flora runs down and helps bring the squirrel back to life. 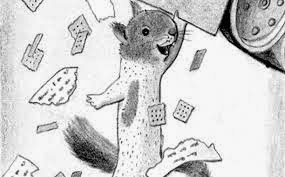 However, he is not the squirrel he once was...he has superpowers! Superpowers such as strength and poetry writing! Flora decides it's up to her to protect Ulysses, as she names him, since the world will misunderstand him. Out of nowhere the nemesis is made clear, Flora's mother. Flora's mother also corrals her father in her nefarious plans. The rest of the story is about Flora protecting Ulysses and her relationship with her father. Another reason kids love this book is that it is interspersed with comics throughout. Pay attention to the images, they add a lot to the story. This book won the 2014 Newbery Award! Flora and Ulysses: An Illuminated Adventure! This is such a great book. As a child of divorce and knowing many kids are going through it too, I thought it a good book to work with. Besides, I just love Kate DiCamillo. 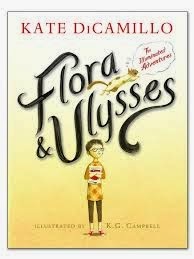 Floraand Ulysses: The Illuminated Adventures! This middle grade novel won the Newbery medal for 2014. The story is about Flora, a self-described cynic, who witnesses a tragedy/miracle in her neighbor’s backyard. 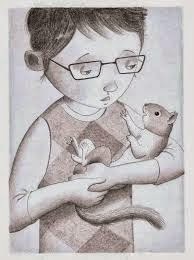 She is able to revive the squirrel and names him Ulysses. The book is very funny but also tackles some serious issues such as divorce, abandonment issues and more. The book is written as part narrative and part graphic novel. I formatted the close reading guide as follows. It begins with an explanation of close reading and how to format a lesson. I also included sentence stems aligned to Webb's Depth of Knowledge. Then, there is a summary, themes listed and character descriptions. I created focus questions for each and every chapter. 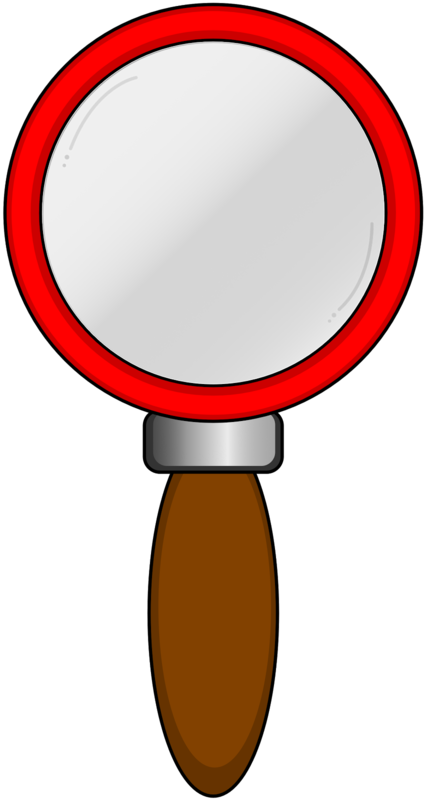 Along with the focus questions, I culled out vocabulary you might need to review and creative writing activities, research activities or discussion points. There are explicit gradual release formatted lessons throughout for pivotal moments in the story. I included a close reading sheet for each of the explicit lessons. You could use the focus questions to create more close reading lessons using the blank templates or for class discussions. At the end, there is a blank sheet for planning and to use with close reading of different chapters. Finally, I added my version of Cornell Notes, which I use for homework reading. I added a sheet for using with the idea of a capacious heart and a printable for creating comic strips. There is also a rubric for grading the close reading sheets. I hope your students enjoy it as much as my students did. Enjoy my new close reading guide on TPT!! !